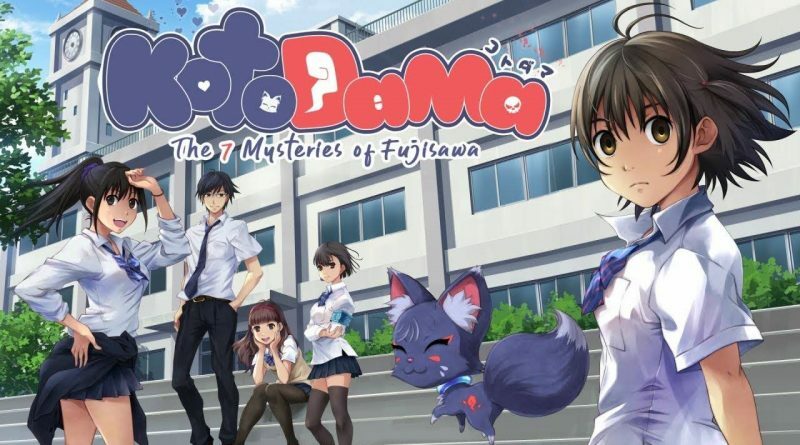 Publisher PQube and developer Art Co. have announced that the high school visual novel Kotodama: The 7 Mysteries of Fujisawa is coming to Nintendo Switch in 2019. Welcome to Fujisawa Academy – an educational institution where nothing is as it seems and every pupil hides a secret. Having enrolled as a transfer student, everything feels pleasantly familiar. The pupils are friendly, the staff attentive. All the ingredients for a successful academic career. But you’re not here for a quiet life. Having made a pact with Mon-chan, a sarcastic demon fox, you wield the power of Kotodama – a means of coercing the truth from those who seek to lie to you.